Attorney Falkenstein concentrates his practice in the following areas: He represents plaintiffs in personal injury claims, including products liability and workers' compensation matters. He handles real estate transactions, including real estate development and financing, condominium and PUD development, and real property tax appeals. He practices in the area of land use law before planning and zoning commissions, zoning boards of appeal, and in the courts. He has represented and continues to represent real estate developers and lending institutions. Attorney Falkenstein earned his Juris Doctor degree from New York University School of Law in 1970 and his Bachelor of Arts from Cornell University in 1966. Mr. Falkenstein has more than 30 years of experience as a litigator. 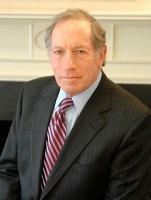 He was admitted to the Connecticut Bar and New York Bar in 1971. Mr. Falkenstein has been rated by Super Lawyers two times, for his practice in Personal Injury, as well as Real Estate.